Credit for being the first to accomplish any notable feat, whether in sports, medicine, science, aviation, etc., is constantly being challenged. Some contestations are worthy of consideration based on documented facts, while others can be readily dismissed as crockery. Gustave Whitehead, per anti-Wright Brothers zealots, made the first powered airplane flight. The Vikings landed in America centuries prior to Columbus - supposedly. 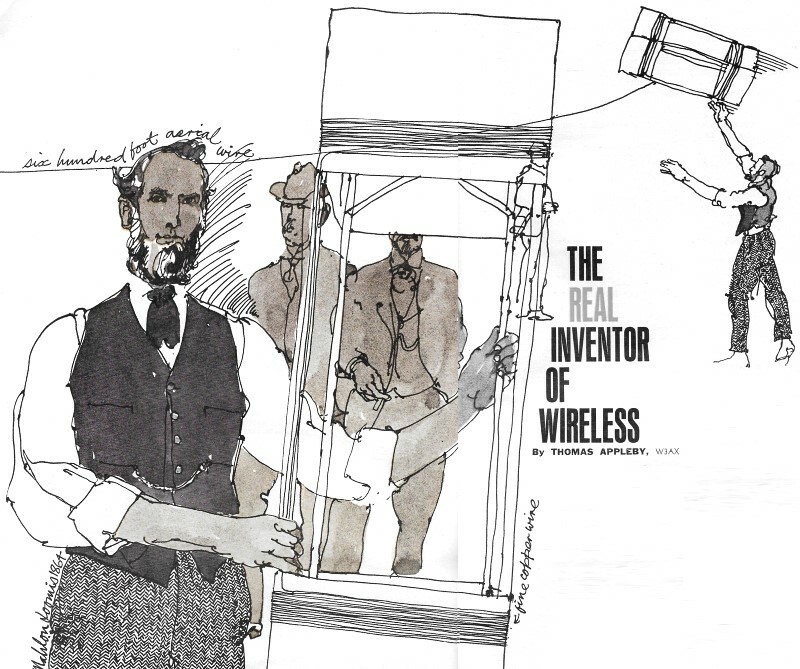 Many stories have been written claiming that Dr. Mahlon Loomis, a dentist, beat Guglielmo Marconi in the wireless communications race by using a system of kites that took on a charge from overhead clouds. A keying device opened and closed a conductive path to ground for effecting the Morse code. Loomis performed his experiments a year before Marconi's success. So convinced was Virginia U.S. congressman Howard Smith that he initiated a joint resolution in the House of Representatives as official recognition. History books have not been rewritten and postage stamps not recalled based on the action. I wonder if any of Dr. Loomis' patients picked up his Morse code wireless messages on loose tooth fillings? Remember this episode of Gilligan's Island? Here are all the various radios used on the show. Everyone knows that Marconi invented the wireless. We are taught it in grammar school, although we may not remember the date - 1896. But was Marconi actually the first person to invent and demonstrate a system of wireless communication? Who, then? Maxwell? Hertz? Chances are you won't find the name of Dr. Mahlon Loomis anywhere under wireless telegraphy in your encyclopedia. It belongs there - and the date to remember is 1864. It was not until 1865 that Maxwell published his theory of electromagnetic waves in space, and Hertz apparently did not get around to experimentally confirming Maxwell's theory until 1887. In 1896, Marconi made a practical device of it by inventing the antenna. But back in 1864, Dr. Mahlon Loomis, a dentist by profession and an inventor by avocation, made a sketch of a vertical top-capacity-loaded aerial with a keying device and an indicator, all in series to ground. He also wrote a brief description of how the system would operate to "remit shocks (to the atmosphere) affecting a distant reciprocating apparatus." At that time, Loomis had absolutely nothing relating to electromagnetic radiation that he could refer to for inspiration. He came up with a complete system of wireless communication before the natural phenomenon was known or understood. This is attested to by Dr. Loomis's own notebooks and other sketches, as well as old newspaper clippings. On July 30, 1872, a patent (No. 129,971) was granted Loomis on his system by the United States Government. The First Transmission. In 1866 Dr. Loomis went out to Bear's Den in the Blue Ridge mountains near Bluemont, Virginia, where he elevated a 600-foot aerial wire by means of a kite. He partially covered the kite with fine copper wire mesh connected to the aerial wire for top-loading purposes. This was the first instance of top-loading capacity being used with an aerial. Between his aerial wire and ground connection, Loomis connected a keying device, which doubled as a spark-gap, and an indicating device. The aerial became charged from the overhead clouds and a "spark" occurred at the key points whenever the key was operated. Oscillations raced up and down the aerial wire, radiating electromagnetic waves into space. An assistant of Dr. Loomis went to a spur of the Catoctin mountains 18 miles away, also in Virginia, just across a bridge over the Potomac at Point of Rocks, Maryland. There, an exact duplicate of the first station was set up. Both aerials were of exactly the same length and characteristics. While Loomis apparently did not understand high frequency currents - he may not even have known that they existed - he had a notion that both systems should be identical. Starting at a given moment, and for a predetermined period of time, Dr. Loomis sent a series of impulses from Bear's Den by tapping the end of his aerial wire to the binding post of his grounded indicating device. His associate 18 miles away had been instructed to disconnect the aerial wire from the duplicate instrument after the original "transmitting" period was over, and to tap back the exact number of impulses that had been received. At the same time, Loomis connected his aerial wire to his indicating device. Dr. Loomis states in one of his notebooks that the exact number of impulses were received back from the distant station, and further that the series of transmissions was repeated a number of times for positive verification. He also noted that when dark clouds gathered above his 600-foot aerial, too much electricity was collected from the atmosphere. There was so much electricity, in fact, that he had to shut down operations until the clouds moved away and weather conditions became more favorable. The Time In Between. There are a few more dates for the encyclopedias and the history books. Numerous other similar experiments were conducted over a period of years, and in 1869 Dr. Loomis petitioned Congress for a grant of $50,000 with which to commercialize his wireless system. This petition was shuttled from committee to committee for over a year, and then indefinitely postponed. In 1873, the year after he received his patent, Dr. Loomis was incorporated by Congress as the Loomis Aerial Telegraph Company, with an authorized capital stock of $200,000 and the privilege of increasing it to $2,000,000 if the interest of the company should require it. The Bill was signed by President Ulysses S. Grant. Dr. Loomis tried in vain to sell sufficient stock to put his invention to practical commercial use. His inability to do so was undoubtedly due to two national financial panics (so-called "Black Friday's") and the Great Chicago Fire which wiped out the fortunes of bankers in New York, Boston, and Chicago, who were about to finance him. Nor would most people believe in him. 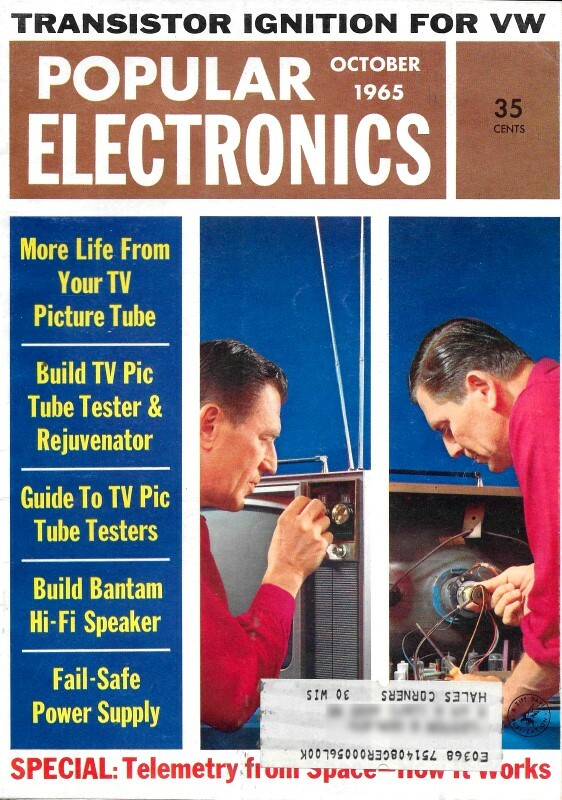 He was so far ahead of his time that even his wife called him crazy, because he neglected his profession as a dentist and spent his money on wireless experiments. He died in 1886 at the age of 60. Recognition. Efforts are now under way to see that Dr. Loomis receives official recognition for his work in the field of wireless telegraphy. A joint resolution was introduced in the 88th Congress by Congressman Smith of Virginia, but not passed. It is hoped that by the time this article is in print, the resolution will have been reintroduced in the present Congress. 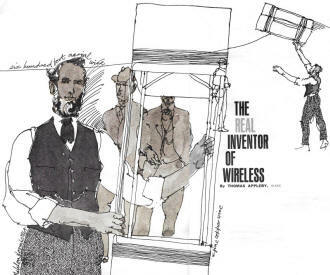 The author has done considerable research on the life and work of Dr. Loomis, and has co-authored a book entitled "Mahlon Loomis, Birth of Wireless" with George M. Applegate. This book is as yet unpublished. All readers who would be interested in obtaining a copy of it are requested to write to: Thomas Appleby, Cdr. USNR. Retired, 5415 Connecticut Ave., N.W., Washington 15, D.C.